Enjoy by-the-beach-living; Enjoy being in the village! Watch people; Learn culture and language; Play games and water sports! 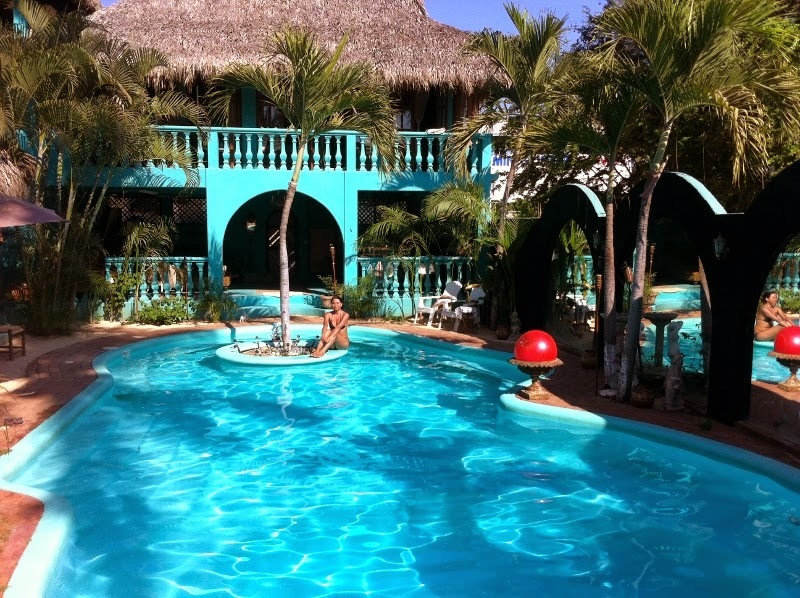 Barra de Potosi Hotel Hacienda La Rusa is a tropical oasis 20 steps from Playa Blanca. It has all the comforts of Home! Our Inn embodies the charm & spirit of tropics and tranquility, and whether you're enjoying breakfast or a cocktail around the pool, you're sure to have a great time! Hacienda has small vacation homes for rent steps to the beach - bright, sunny, comfortable rental bungalows with private bathroom sitting among lush tropical garden, seconds to beach and the lagoon. These distinctively decorated villas will satisfy any demanding customer taste.